1. "When I step on the intro plate I get no wool"
2. "I put the folder into my save but it won't show up"
For all other concerns, please post them on the forums. I do not check this thread very often but I would love to help you. Diversity is a unique take on the CTM genre. As usual, you have to complete the monument by collecting the coloured wool. 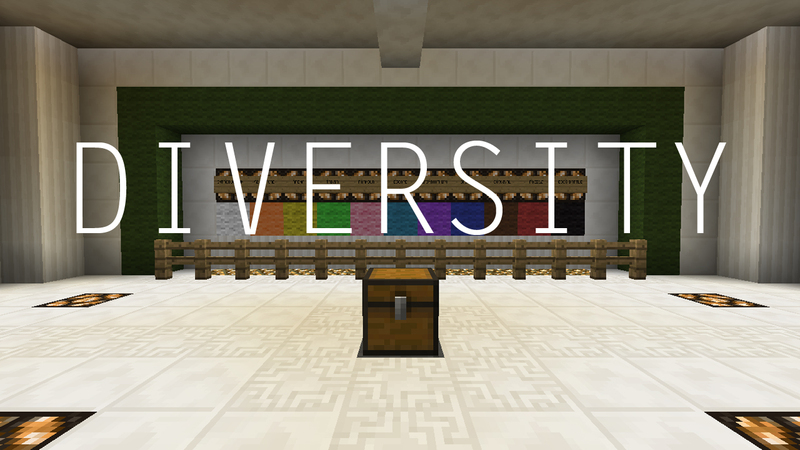 However in Diversity, each wool is obtained by finishing a completely different Minecraft map genre. 1. No breaking, placing or crafting ANY items unless instructed or implied. 2. No changing gamemodes or difficulty, for ANY reason whatsoever. 4. For Single Player, start on Easy. Avoid viewing the Options Screen if possible. Please visit the minecraft forums for help on this map. I don't come here very often.